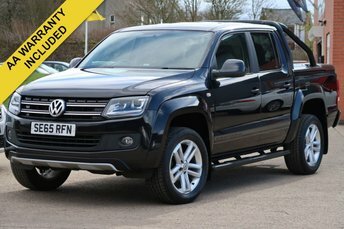 Specification Includes: 1 Owner From New, Satellite Navigation, VW Service History, Full Leather Interior, Heated Seats, Airconditioning, Cruise Control, Bluetooth Telephone Interface, Electric Heated Mirrors, Towbar, 19 Inch Alloys, MOT Until January 2020, 3 Months Extendable AA Warranty and 12 Months AA Roadside Assistance Included, Delivery Available, Fleet Sales of Cosby South Leicestershire are Pleased to Present a Wide Range of Vehicles Selected from the UKs Leading Automotive Groups. All Of Our Vehicles are Fully Checked And Prepared to Meet The AA DEALER PROMISE of Which We Are an Accredited Approved Dealer. All of our Vehicles Come With a Top Quality AA Dealer Care Extendable Warranty and 12 Months AA Roadside Assistance. Our CLICK and COLLECT Finance Packages are Available in Most Cases and Include Zero Deposit And Low Rate Options (subject to status). We Aim to Offer an Immediate Drive Away Service Making Your Buying Experience Fast and Effective. Specification Includes: Twin Wheels, Taco Meter, Auto Lights, Electric Mirrors, Electric Windows, Cruise and Limit Control, Lake Keeping Assist, Bluetooth, BT Audio, AUX, SD UB FM, Main Dealer Service History, 3 Months Extendable AA Warranty and 12 Months AA Roadside Assistance Included, Delivery Available, Fleet Sales of Cosby South Leicestershire are Pleased to Present a Wide Range of Vehicles Selected . All Of Our Vehicles are Fully Checked And Prepared to Meet The AA DEALER PROMISE of Which We Are an Accredited Approved Dealer. Our CLICK and COLLECT Finance Packages are Available in Most Cases and Include Zero Deposit And Low Rate Options (subject to status). We Aim to Offer an Immediate Drive Away Service Making Your Buying Experience Fast and Effective. Specification Includes: Satellite Navigation, MOT Until April 2020, DAB Radio, Bluetooth Telephone and Media Interface, USB, Electric Mirrors, Electric Windows, Cruise and Limit Control, Side Loading Door, Ply Lined, Factory Fitted Bulk Head, Side Loading Door, 3 Months Extendable AA Warranty and 12 Months AA Roadside Assistance Included, Delivery Available, Fleet Sales of Cosby South Leicestershire are Pleased to Present a Wide Range of Vehicles Selected . All Of Our Vehicles are Fully Checked And Prepared to Meet The AA DEALER PROMISE of Which We Are an Accredited Approved Dealer. Our CLICK and COLLECT Finance Packages are Available in Most Cases and Include Zero Deposit And Low Rate Options (subject to status). We Aim to Offer an Immediate Drive Away Service Making Your Buying Experience Fast and Effective. Volkswagen's range of commercial vehicles has been engineered to fit the needs of businesses of all sizes. Whether you're in the market for a compact yet highly functional panel van, a fuel-efficient transporter that'll make light work of deliveries, or a large crew van capable of moving your workforce in safety and comfort, Fleet Sales is here to help. We're the best place to find great deals on used Volkswagen vans for sale in Cosby, and as all of our pre-owned vehicles are rigorously checked before arriving on the forecourt, you'll be able to buy with confidence. Don't hesitate to contact a member of the showroom team to find out more about the range of used commercial vehicles currently in stock.